My absolute favorite green smoothie recipe! This green smoothie is packed with good-for-you ingredients while still tasting great! No more plugging your nose to chug down greens – you’ll crave this smoothie every morning! After you’ve gotten hooked on this green smoothie recipe, be sure to try out our other healthy breakfast recipes: healthy banana bread, healthy blueberry muffins, and healthy zucchini bread. First things first, a green smoothie (as its name suggests) is green in color. This smoothie gets its green color from green fruits and/or vegetables that are added to the smoothies. Generally green smoothies are made with leafy vegetables, a myriad of fruits, and a nutrient-rich liquid addition such as a nut milk, rice milk, or coconut water. There are so many benefits to drinking a green smoothie (more on this below) and plenty of ways to switch up your green smoothie recipe to gain benefits from various fruits and vegetables. While I do have my background in health (BA Exercise & Wellness) I am not a doctor or certified nutritionist. 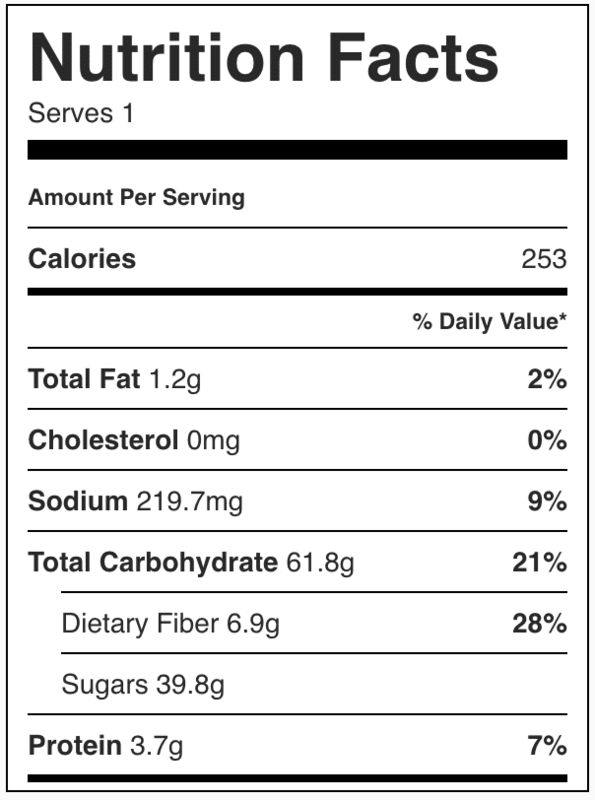 Make sure to consult your doctor or certified nutritionist as needed. Blender: make sure you’re using your highest powered blender for this smoothie. I use this Blendtec blender and love it. While cheaper blenders can definitely do the trick, it may take a bit more patience and blending to get the perfect consistency. Blend Greens: start by blending the greens with the liquid. This helps break down the greens and fully ensure you aren’t going to have small chunks of spinach in your final green smoothie. Blend Fruit: Next, add in the frozen fruit and a little more liquid (the lemon). Blend until smooth. 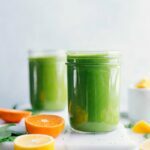 Taste and adjust: while this green smoothie recipe is generally exactly how I make it, sometimes you’ll need to make minor adjustments depending on actual ingredients and personal preference. For example, if your banana wasn’t very ripe, you might need to add a teaspoon or so of honey to add some sweetness. If the oranges weren’t juicy, you may need to add additional citrus. Etc. 🙂 Taste, adjust, enjoy! Below are all the ingredients used in this green smoothie recipe and a few of the health benefits associated with each one. Coconut Water: not to be confused with coconut milk, coconut water is found in the center of a young coconut and is a great source of many important minerals including vitamin C and fiber. Coconut water has also been linked to reducing blood pressure and improving kidney health. Read more about the benefits here. Spinach: this leafy green vegetable has been linked to cancer prevention, bone health, and healthy skin and hair. Read more about the benefits here. Oranges: this fruit is known for its antioxidant properties and is also linked to stroke prevention, blood pressure reduction, and skin health. Read more about the benefits here. Frozen Mango: this fruit is also high in antioxidants and is linked to boosting immunity, improving digestive health, and supporting eye health. Read more about the benefits here. Frozen Pineapple: this fruit is linked to cancer risk prevention, suppression of inflammation (de-bloats your body), and speeding up recovery after exercise. Read more about the benefits here. Frozen Banana: this fruit is linked to moderating blood sugar levels after meals which also means it may reduce appetite as the stomach empties slower. Read more about the benefits here. Lemon: this citrus is linked to being helpful in preventing anemia and kidney stones. It’s also theorized to help with weight control and improving digestive health. Read more about the benefits here. Chia Seeds: sometimes I’ll sprinkle a handful of chia seeds on top right before eating for some added nutrition. Don’t store leftover smoothie with chia seeds or the seeds will begin to gel. Ginger: I don’t love ginger in my green smoothie recipe, but many people swear by it for a zip of flavor and the health benefits. Feel free to add about 1/2 inch slice or so of fresh grated ginger if desired. Hulled Hemp Seeds: blend in about an ounce for added protein and energy. Do green smoothies help you lose weight? Green smoothies are packed with vitamins and minerals that support overall health and wellness. They are a great addition to a weight loss regimen. While there is no magic weight loss potion, filling up on a green smoothie is going to greatly benefit you with your weight loss goals. Is drinking green smoothies good for you? Yes! Drinking green smoothies brings many health benefits. Green smoothie recipes are generally filled with fiber which helps offer relief to the symptoms in common digestive issues. Green smoothies also help rejuvenate your body! Chlorophyll, the green pigment found in green plants, improves the immune system and rejuvenates the entire body. And lastly, green smoothies help improve skin health through the high amount of vitamins, fiber, and antioxidants they contain. Is a green smoothie good to drink everyday? Yes, absolutely! Green smoothies are a great way to get in the recommended daily servings of fruits and vegetables. 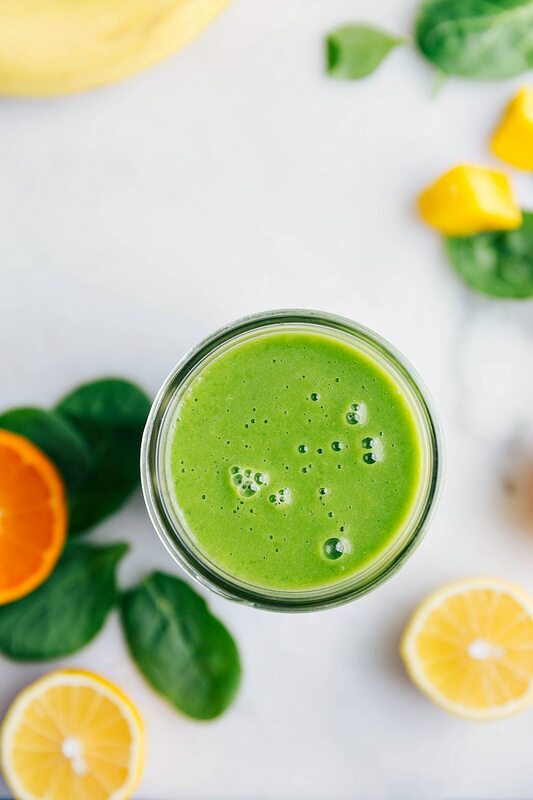 While a diet of ONLY green smoothies (or really any single food) isn’t recommended by many nutritionists, drinking a green smoothie each day in addition to a healthy diet can be very beneficial to your overall health. I would recommend switching up the ingredients in your green smoothie or trying an acai bowl (4 recipes in that post) for variety. 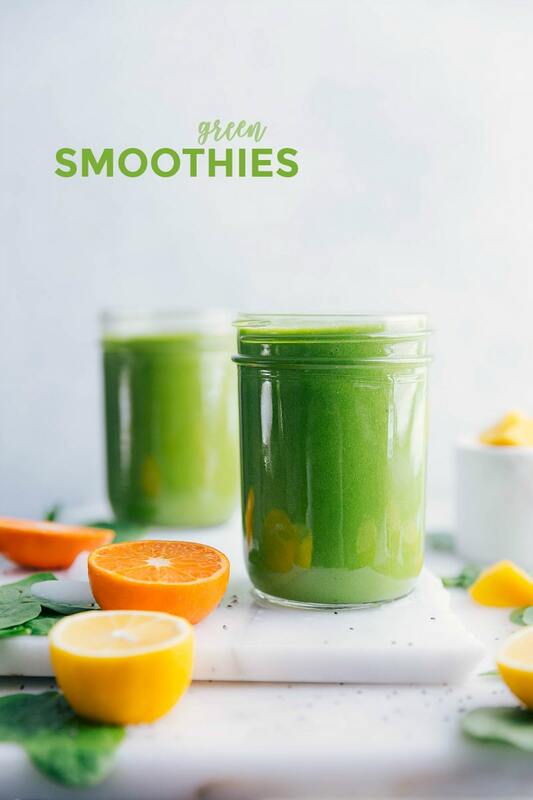 This green smoothie recipe is what I like to call an “introductory green smoothie.” It’s genuinely delicious and fairly sweet thanks to the quantity of fruit used. If you’re new to green smoothies, THIS is the recipe to start with! Once you get more “accustomed” to green smoothies, feel free to introduce new greens or replace fruit with vegetables. You can freeze fresh spinach! Worried you won’t use all the spinach before it goes bad? Fresh spinach freezes great for green smoothies. 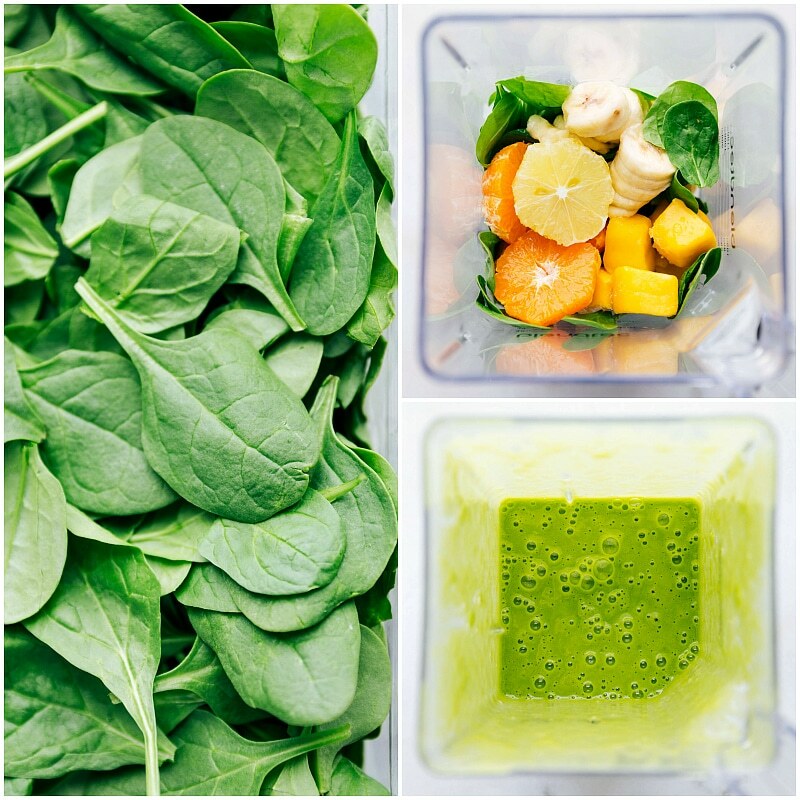 Freeze in packed 1 cup quantities in airtight container(s) in the freezer and add it frozen to your green smoothies. My absolute favorite green smoothie recipe! This green smoothie is packed with good-for-you ingredients while still tasting great! 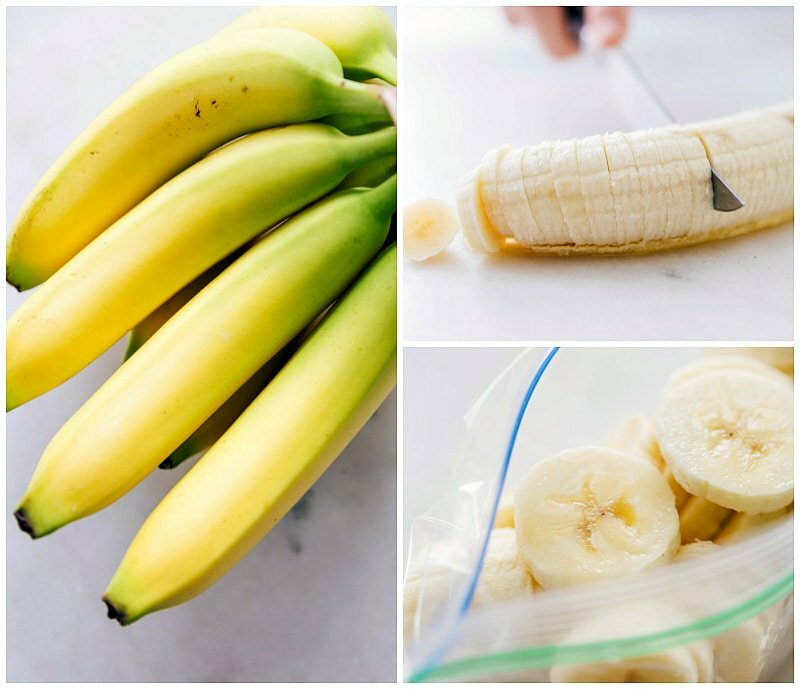 The night before making your smoothie, remove the peel on a RIPE banana and cut into coins. Place the coins in an airtight freezer bag and place in the freezer. The next day, combine the coconut water, baby spinach, and peeled clementines (if using) in a blender bottle. Blend until smooth. Next, add in the frozen pineapple (if you didn't use clementines), frozen mango, frozen banana, and lemon. Blend until smooth. Serve immediately. Note 1: when clementines are in season and ripe/flavorful I like adding those. Other times of the year we do frozen pineapple! This is a great green smoothie. Thank you so much for taking the time during this busy season to share your wonderful post with Full Plate Thursday. Have a wonderful weekend and hope to see you again real soon!